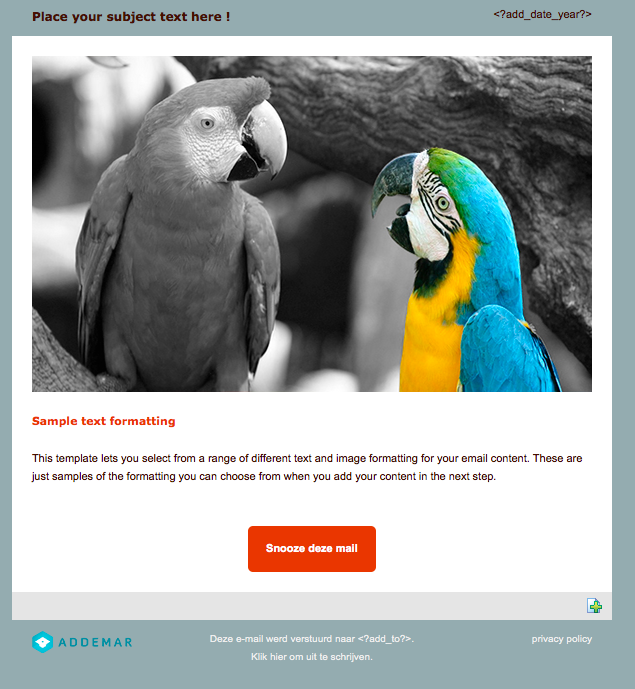 Addemar Support Knowledge - Allow your contacts to snooze the email you send them. As a marketeer you give your contacts the possibility to 'read' your email when they have time for it and want to read it. Allow your contacts to specify the time and date that they want to 'read' your emails. We have added a functionality which offers you a snoozing option. You can add a link or button which gives your contacts the option to receive the email in question on a later / other time. Why do you want to offer this? It gives your 'readers' the flexibility to choose their reading time which hopefully results in a higher openrate of your marketing campaigns. It is actually pretty easy. The only you need to add is the action which will trigger the snooze functionality. <?add_snooze?> is the action you need to use inside your marketing campaign. 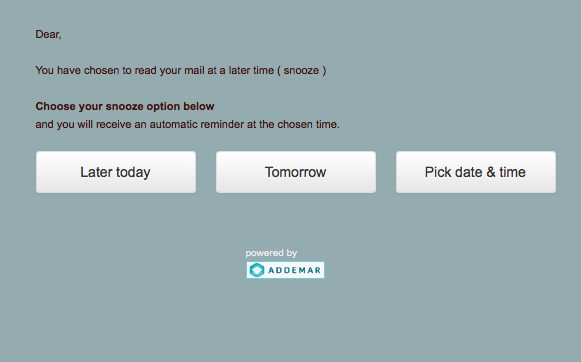 Inside the mail we have build a button, we have to put the <?add_snooze?> functionality behind the call to action. later today : this will send a reminder 4 hours later to the contact of the initial email. Tommorow : this will send a reminder of that email on the exact time tommorow. 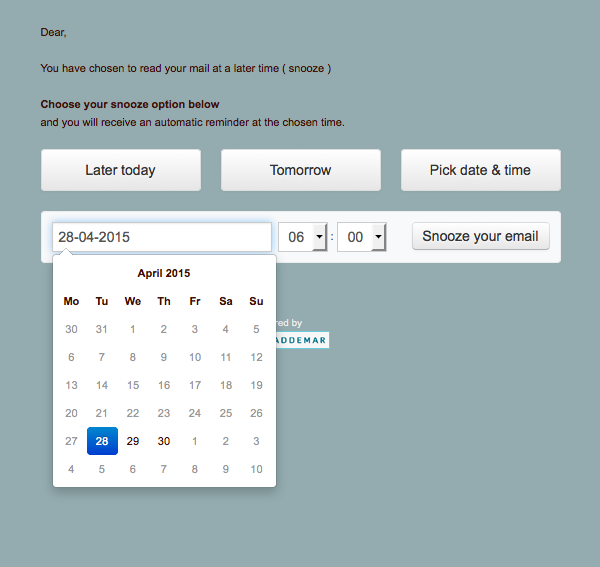 Pick date & time : this let's the contact choose when they want to receive the reminder/snoozed mail.